Matty, Interesting image. Looks even better uncompressed. 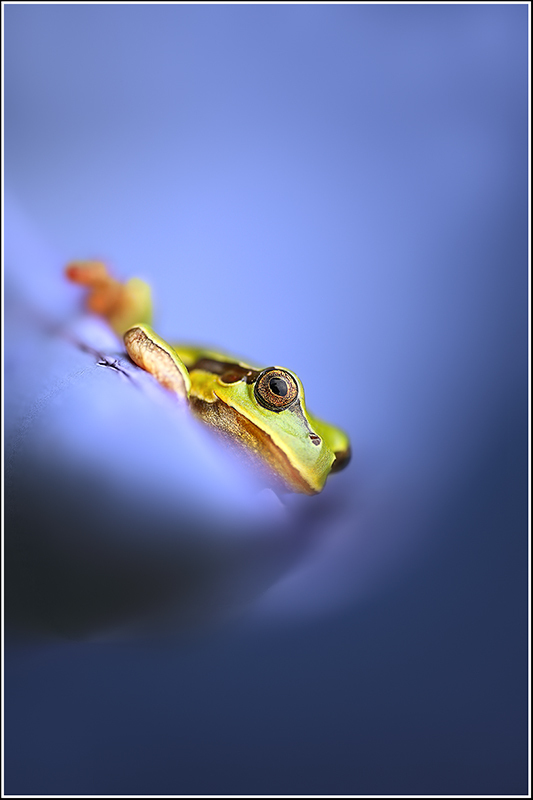 Love the color contrast - beautiful setting for the frog. Molto bene! Exceedingly nice point of view and very pleasing colors. The diagonals of the depth of field make this image work.